The Big-E — Barry Architects, Inc. The Massachusetts State Exposition Building is a duplicate of the Old Massachusetts State House. The Old State House was the site of many historic events including the Boston Massacre. 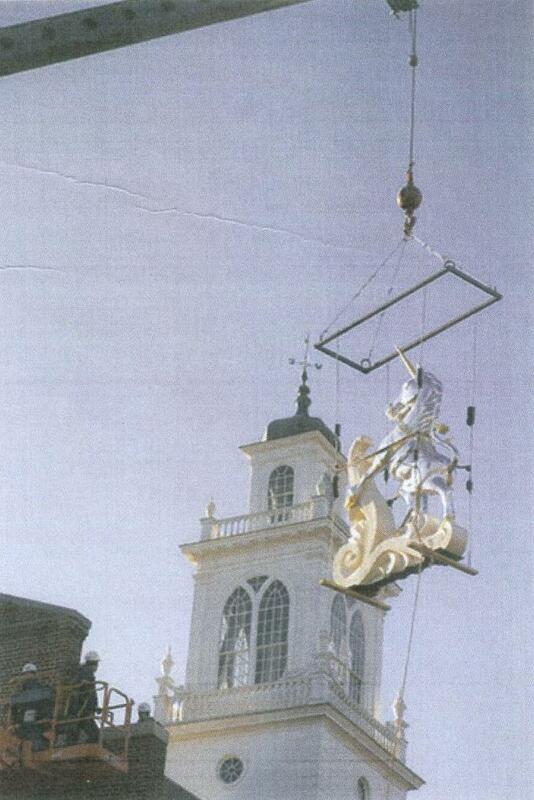 As a sister to the Old State House, the Exposition Building is Historic and demanded a detailed restoration. Phase one of the restoration included the renovation of the first floor exposition space along with associate mechanical and electrical upgrades. Exterior work included replacement of the wood balustrade along the roof, as well as the restoration and replacement of deteriorated wood work and brick. The second phase included the installation of an elevator to the second floor Governor’s Office and the installation of accessible toilet rooms. The monumental stair to the second floor was installed and the Governor’s Office renovated. The Governor’s Office included the installation of new balconies overlooking the exhibit hall and the creation of a conference room with custom wood paneling and historic wood work. The exterior of the building was further restored to reflect the details of the Old State House. 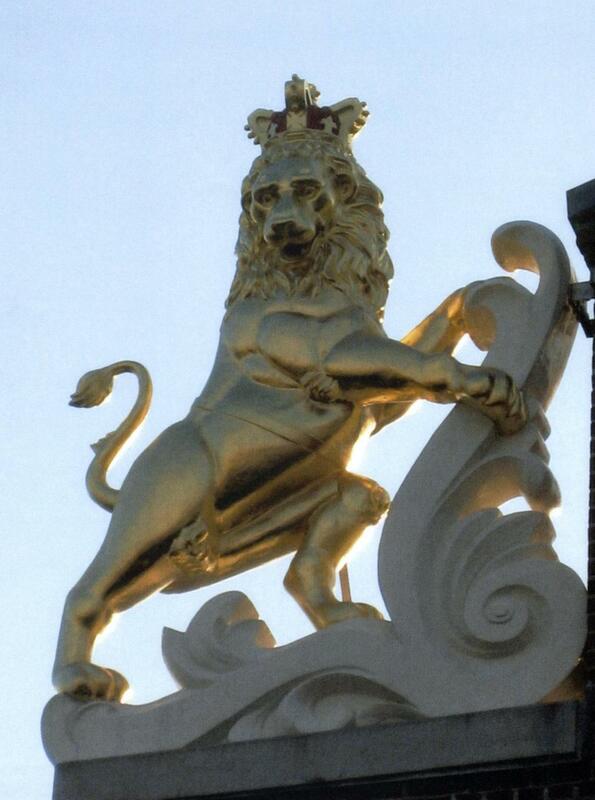 Nine foot tall, gold-leafed lion and unicorn sculptures matching those on the Old State House were detailed, constructed, and installed. The historic cupola was fully restored and all the millwork on the cupola was replaced. The slate roof was replaced and a lightning protection system installed. All the windows were replaced with custom made historic windows.